Primary winding consists of dual coated super enamel round copper wire in suitable alternative layers of wire and insulating paper / polyester film. 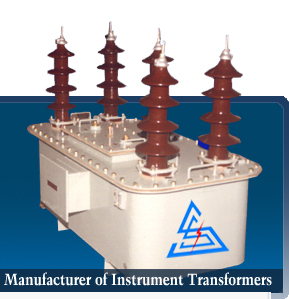 In unearthed transformer, primary winding is done in two halves but earthed transformer; it is done in single unit. Primary winding is done in two halves but in earthed transformer, it is done in single unit. Secondary winding of enameled round copper wire is wound separately and placed over the CRGO M-4 grade core limb prior to the primary winding. Secondary terminals are brought out on the secondary terminal plate on one side of the transformer. Primary wound coil is dried in oven and impregnated with epoxy resin in casting plant under strictly controlled conditions. Impregnated coil is then dried and assembled in the required mould maintaining necessary clearances as per the voltage requirement. Casting is done under vacuum in the epoxy resin cast paint specifically dedicated for the purpose. It has mixing and pouring chamber with controlled temperature and vacuum conditions. Procedure of casting is strictly followed as specified for the particular resin mix. Curing is done at 1000 C or at room temperature for the specified time depending upon the type of resin used. Each transformer undergoes all the routine tests before dispatch and is delivered safe at site duly packed. However, following precautions must be observed for its intended performance. Transformer is to be unpacked fully before carrying out site tests. Before energizing, one terminal of all the secondary windings not in use is to be grounded. Primary connection is to be tightened sufficiently to avoid hot connection. As the transformer is fully encapsulated, routine maintenance is limited to clean the outer surface only.